Mario Tama/GettyThe deadline to request an absentee ballot to vote in the 2018 midterms is fast approaching in many states. The 2018 midterm elections are just one week away, but if you won’t be able to vote in person, there’s still time in many states to request and send in your absentee ballot if you’re registered to vote in the US. Most military service members, US citizens living overseas, people who will be away from their polling place on Election Day, or those who cannot vote in person due to religious conflicts or disability are eligible to vote absentee, but be sure to check your state’s requirements first. The deadlines to request a ballot are this week in 24 states: see the deadlines in every state below. The 2018 midterm elections are just one week away, but if you’re registered to vote in the US and won’t be able to do so in person, there’s still time to request and send in your absentee ballot. While states all have different requirements for receiving a ballot, most military service members, US citizens living abroad, college students, or people who will otherwise be away from their polling place for another reason, including a disability or religious conflict, are eligible to vote absentee in the November 6 election. All states allow voters to request ballots by mail, but only some permit in-person requests. 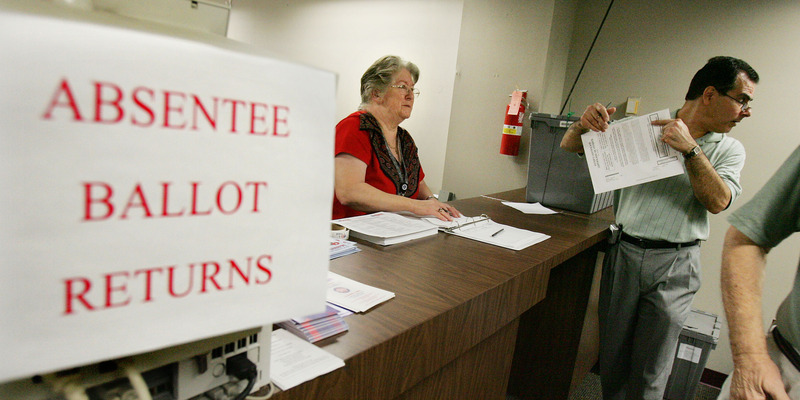 Virginia is the only state where voters can apply for an absentee ballot online. 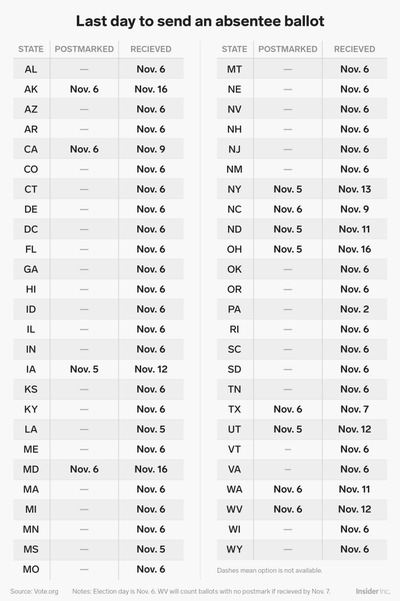 You can check your voter registration status and request a ballot in your state here. 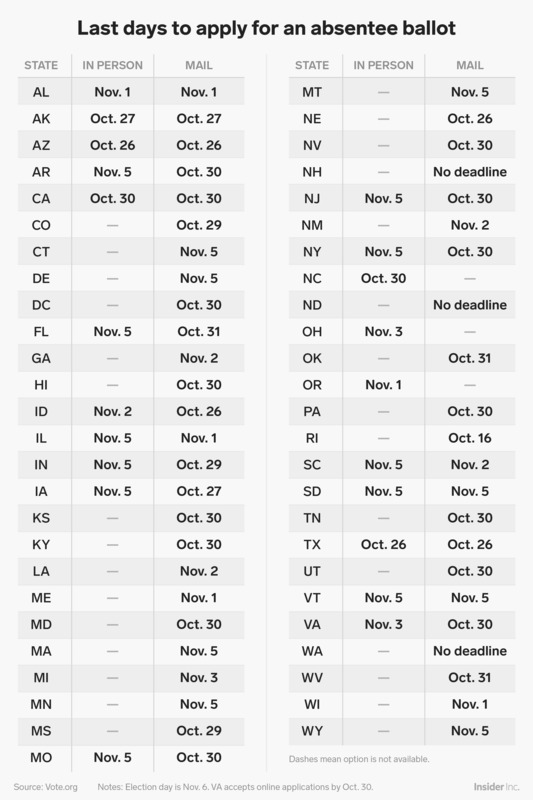 If you request a ballot but don’t receive it in time to mail in back by your state’s deadline, you can fill out the Federal Absentee Write-in Ballot as a backup. In the meantime, you can use Ballotpedia’s sample ballot lookup tool for information on all the federal, state, and local elections and/or ballot initiatives that you’ll be voting on this fall.